Michael is the youngest of we 3 Sherlock children. When born, the medics said that he wouldn't live more than 24 hours...and if he did live he'd be an invalid. He was a regular swimmer and in his youth, used to swim in the sea on New Year's Day, played badminton, water-skied and was a keen walker and a dedicated TV addict...think football. Top shot was Michael's 47th birthday, warm and cosy indoors. The lower shot, a few months earlier, Mum and Michael on the North Promenade, plenty of white horses behind them with an inshore easterly. Michael and I loved this sort of weather, though hardly ideal for Mum. They were both Trojans. Jean looks very perky in both of these... good memories. Amazing wonderful story of your brother! Love the pics too! Fab images and wonderful memories. how wonderful that the doctors could not have been more wrong! 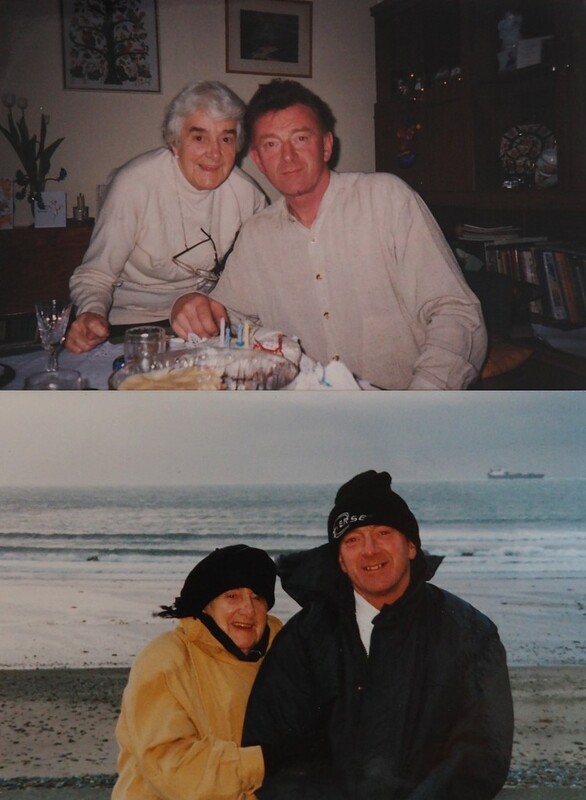 Such a lovely story and wonderful images of your mum and brother.